Pickup trucks are more than just a work truck dedicated to hauling the heaviest of materials; they are family friendly too. The Ram 1500 is ready for whatever your family has in store. 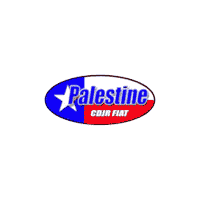 Palestine Chrysler Dodge Jeep Ram Fiat is your one-stop shop for finding and servicing your new Ram 1500. Let’s schedule your first test drive! Pick your desired cab, so whether you want optimal seating for up to six like the Crew cab or more space for fun, family projects like the Regular cab, you can pick and choose. When your family marries into the Ram 1500 family, you’re joining a committed relationship that brings you the best in safety and warranty. Protection is all around your family from the side-curtain airbags to the side-impact door beams that help absorb impact force from the passengers. Lock your pickup and enjoy a picnic with the family and relax knowing the AllSecure Central Locking System has your back. Stay on the alert with the ParkView Rear Back-Up Camera, and ParkSense Front and Rear Park Assist System. You’ll be a backup pro, even with the family boat in tow. Depending on the Ram 1500 of your choice, your warranties will last for 5 years and range from 60,000-Mile to 100,000-Mile coverage. So when you’re ready, your Ram can’t wait to take your family anywhere they want to go. Everyone will enjoy the tech fun inside the Ram 1500. Starting with the Uconnect system, an 8.4-inch touchscreen brings entertainment and navigation to life with all the convenient features your family must have from Apple CarPlay to Android Auto. And for all you SiriusXM fans out there, SiriusXM Guardian is available, so your family can listen to their favorite station on the way to school or on the way to grandma’s house. The Ram 1500 also caters to the workaholics by incorporating the available Wifi Hotspots, so you can leave the office early on a Friday and start the fun-filled weekend that much sooner. It’s safe to say, long car rides won’t be boring, so go ahead and book your family’s vacation to Six Flags. And for the driver or drivers, the Driver Information Digital Cluster with 7-inch color display lets you customize driving info, so you can see what you need to. The Ram 1500 aims to please your family, and with in-floor storage, you can safely store your kid’s favorite toys without worry. Once your family piles into the Ram 1500, everyone will be begging you to drive it home. Come see it in action at Palestine Chrysler Dodge Jeep Ram Fiat.